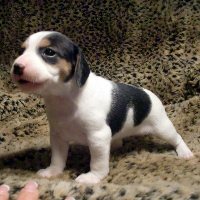 Your next step in choosing a Queen Elizabeth Pocket Beagle puppy is to write us from our email link or call us. We want to hear your preferences and tell you more about those puppies you are most interested in. We may make suggestions for the most suitable puppy for your individual needs. ALL Queen Elizabeth Pocket Beagle and Queen Elizabeth Pocket Bear breeders sell their puppies through one and the same Queen Elizabeth Foundation maintained website. This gives you a most unique buying experience. It means your service representative will make you comfortable to pick the puppy you truly want. You'll be given objective access to information on all the breeders' puppies available in both breeds. Walmart to Walmart transfers & Direct Bank to Bank transfers. First fill out your purchase contract to guarantee your payment . A deposit of 50% (depending on the puppy) will typically hold your puppy. After 8 wks of age the remainder is due and your puppy may be shipped. Your puppy's breeder will be in close communication with you to arrange for the time you prefer shipment. A licensed veterinarian will examine your pup and it will receive a health certificate when being shipped by airline. You will also receive a record of your puppy's current immunizations and wormings. 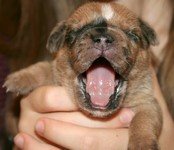 The breeder of your puppy will make arrangements with you to travel to pick up your puppy, or your breeder will use the airline and ship it to an airport nearby. 5th: Your Puppy's Breeder and our Customer Service Representatives are available to help you prepare for the arrival of your new puppy. We will give you advice on what to look for in dog food, purchase of pet care products, feeding schedules, house training, or behavior issues. You are especially cautioned not to expose your new puppy to disease in public places until it is fully immunized. You must validate your warranty, and verify the condition of your puppy, by taking it to your vet within 72 hours of arrival. We are always available for questions by phone or email so that you will be assured of a wonderful experience in getting your new puppy. Thank you for helping us develop these rare new breeds by your support in buying a pet from our breed foundation. Our supervised network of breeders is devoted to the improvement of the Queen Elizabeth Pocket Beagle: the smallest rare breed hound in existence. We also specialize in toy therapy dogs, Toy Rottweilers, Toy Boxers, Toy Bulldogs, Toy Panda Dogs. 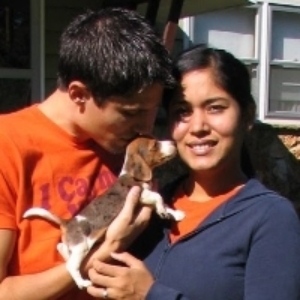 Sensitive in nature and adoringly devoted to its family, a Queen Elizabeth Pocket Beagle seems to know what you want! Healthy, it house trains easily. 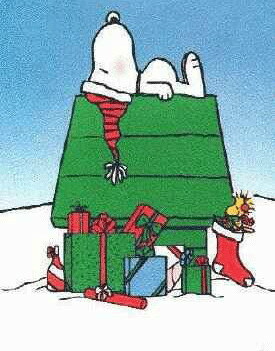 Contact us to plan a special surprise. Our breed club's mission has ever been to perpetuate its unique breeds from rarity into the future. We actively recruit new families to be breeders believing that our puppies, nurtured in loving home environments, will make the best companions. In compliance with recently passed USDA laws, shipping is offered on our puppies which are sold as potential breeding prospects. We do not spay or neuter young puppies as pets prior to shipping. Every puppy will be evaluated for its suitability for breeding. Those not meeting the contract stipulations for breeding are required to be spayed or neutered.